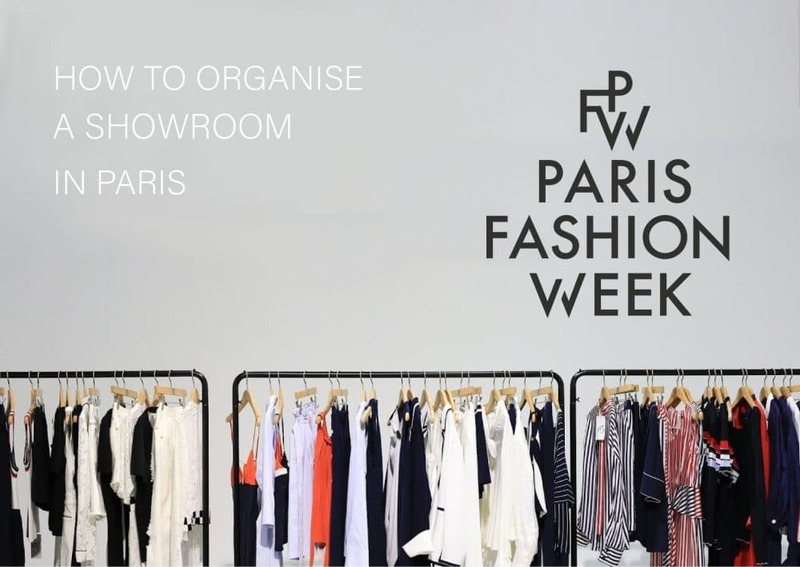 How to organise your showroom in Paris? The incontestable capital of fashion, Paris, becomes a creative mecca four times at each awaited Fashion Week. Brands and fashion houses from the four corners of the world establish themselves temporarily in Paris during four distinct weeks: the end of January, the beginning of March, the end of June and the beginning of October. The latest collections of accessorises, sportswear, women’s ready-to-wear, men's ready-to-wear, and Haute-Couture are shown for the first time to professional buyers and press. Setting up a showroom can pose several challenges, whether it is being managed locally or from abroad. The MR Agency offers an insiders perspective to showroom management and key success factors. Brands exhibiting in Paris must first and foremost find themselves the perfect location to host their collection. Whether it's an industrial atmosphere with metal finishings, such as MR21 and MR23 galleries, or a luxurious Parisian apartment Rue Faubourg Saint Honoré, it is important to choose a location that suits the brand DNA and the collection being presented. Fully equipped and designed to accommodate showrooms, The MR Agency offers spaces with distinct styles, such as the sleek Gallery MR14 to elegant Parisien apartments. Having a selection of properties situated in the Marais, the 8th arrondissement and Saint-Germain, the MR Agency can assist clients in finding the right location in the heart of the capital. At a showroom, the visual presentation of collections is a significant part of the customer experience. It is therefore essential to take into consideration lighting and furniture such as racks, tables, chairs. Melissa Regan Agency offers a rental service department, as well as merchandising design assistance and installation. The support of a trusted technical team ensures the smooth running during the setup and during the event. The teams knowledge of floor plans/measurements , electrical voltage and location accessibility can avoids the need of multiple onsite visits before hand an unforeseen last minute mishaps. The MR Agency accompanies its clients through a broad variety of steps: timely customs clearance for merchandise to reach France, dressers for models, assistants for showrooms, a caterer. Technical elements such as high speed WIFI for 500 devices and Sonos sound system are provided on our premises. 3. The cost to exhibit in Paris? The cost of a location in Paris varies according to the size of the collection to be presented as well as the marketing positioning of the brand and consequently leading the choice of the showroom. For Fashion Week in Paris, the price for a showroom rental is calculated at a daily rate with typically a minimum 7 days rental period. In order to ensure the availability of an ideal location, companies are increasingly moving towards annual contracts covering the 4 key Fashion Week periods. The cost of renting a showroom generally equates to about half of the total budget allocated to a brand for their Fashion Week presentation. In addition, not to forget to take into account costs such as: collection transportation, staff and catering accommodation, model fitting and further expenses for space layout. Every year, during Paris Fashion Week, 10.3 billion euros are generated. The 4 fashion week editions allow hotels, restaurants and taxis to record 1.2 billion euros of turnover. Whether one is a professional or not, the Fashion Week buzz can be felt in the streets of the capital. Over the past 2 years, The MR Agency has been welcoming some of the most renowned global brands in our Parisian showrooms. For the 2019 Fashion Weeks, reach out to the Melissa Regan Agency to learn about our availabilities and find your brands home away from home.